The original and #1 guide to solving your fat loss problems. 188 pages of applicable and actionable lessons sure to teach you more about fat loss than most mainstream books can ever hope to teach. No agenda. No special foods. No dogma. No special cardio. No methods found useless years from now. This book still holds the test of time since it's release and continues to improve as the years go past. While you get tons of research and data used in this book, you also get free-living advice and anecdote that can aid you getting what you want. This book covers calories, energy expenditure, training, cardio, mindset, lifestyle, and more. If you apply the tips and things in this book, fat loss will happen. Fat loss isn't just cold hard data, it's our approach. I've found in my years of working with clients that fat loss is small part data and large part strategy. Having that gives you a genuine chance. 1. Her integrity is second to none. 2. She is the consummate professional. 3. She has the breadth and depth of knowledge of an octogenarian PhD with five post-doctorates. 4. Her insight into the human psyche is borderline spooky. 5. It's clear she values her clients' success over her own personal gain. 6.-9. 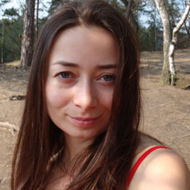 She's compassionate, non-judgmental, straightforward, and has a great sense of humor to boot! 10. 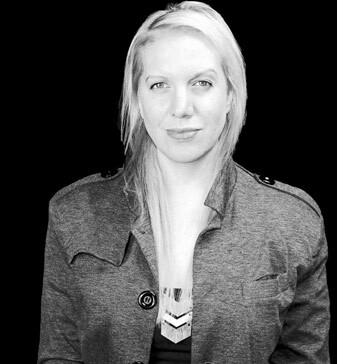 Leigh Peele is inspiring, both in fitness and in life. 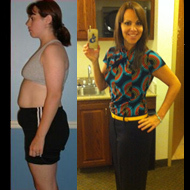 I don't recall how I came across Leigh Peele and her fat loss troubleshoot, but I ordered it. I sat and read the entire thing in one day! I realized there are no magic tricks or magic diets. I worked with Leigh through consulting and phone calls. She really showed me that accountability was the key to my success. She always told me when I was ready I would do it! She was right! My highest weight after 3rd child is 180lbs. Started with Leigh, I am now at my lowest in years of 132. I knew principles of nutrition, but struggled with a psychological side of dieting. I listened to all of the podcasts (multiple times) and read everything Leigh wrote because it really resonated with me. They are fantastic, just binge series alone is pure gold! I can't believe Leigh doesn't charge for it. Virtually all topics connected with dieting are in the podcasts. My professors at university weren't able to explain things in such way that I would understand like Leigh did. Leigh spotted aspects that I hadn't really considered properly, such as my postural and digestive problems. Dealing with these two issues has helped enormously; I am digesting food more effectively and I am moving with greater ease. 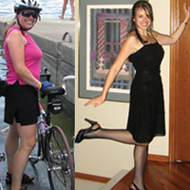 I began to eat in a more sustainable way and developed a less extreme approach to exercise. 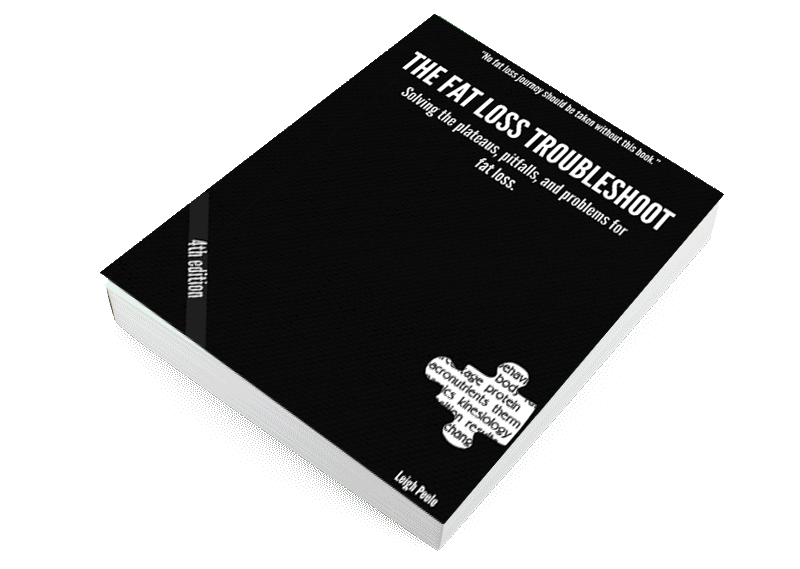 Feeling unsure if The Fat Loss Troubleshoot is for you? No problem. Sign-up below to get a preview, subcribe to my newsletter to be updated, and get discounts. 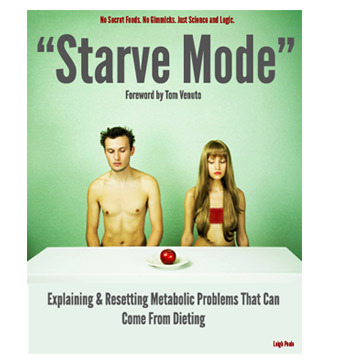 For a limited time, you can grab the critically acclaimed and highly refrenced book, "Starve Mode." It's the ultiamte guide to refeeding, metabolism, and more. 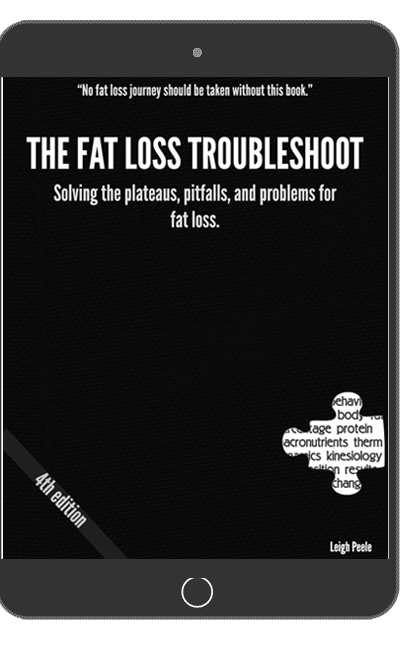 The Fat Loss Troubleshoot came about almost a decade ago because I was helping people answer their problems. Now, in its 4th edition, it still helps thousands of people around the world. It is a staple guide to fat loss that everyone should own. Lastly, sometimes the book isn't enough no matter how much we want it to be. If you need more one-on-one help, join the group, send me a message, or sign-up on a waitlist to work with me. I'm looking forward to helping you on your journey. Billing will show a charge from Clickbank.com or CLKBANK*COM not from Leighpeele.com or fatlosstroubleshoot.com. ClickBank is the retailer of products on this site. CLICKBANK� is a registered trademark of Click Sales, Inc., a Delaware corporation located at 1444 S. Entertainment Ave., Suite 410 Boise, ID 83709, USA and used by permission. ClickBank's role as retailer does not constitute an endorsement, approval or review of this product or any claim, statement or opinion used in promotion of this product.